I have no doubt that in firing the fatal shots the accused must have foreseen, and therefore did foresee, that whoever was behind the toilet door might die, but reconciled himself to that event occurring and gambled with that person’s life. This constituted dolus eventualis on his part, and the identity of his victim is irrelevant to his guilt, the Supreme Court said. 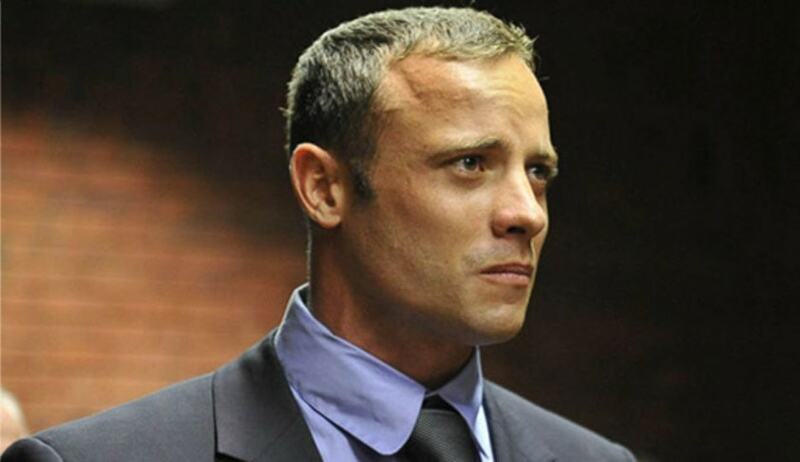 The Supreme Court of South Africa has ruled that Oscar Pistorious, is guilty of Murder, and not culpable homicide as the Trial court had held. The conviction by Trial court was set aside and the Apex court held that he is “Guilty of murder with the accused having had criminal intent in the form of dolus eventualis.‟ The Three Judge bench comprising of Justices Mpati P, Mhlantla, Leach, Majiedt JJA and Baartman AJA referred back to the trial court to consider an appropriate sentence afresh. The facts of this case may be best described by quoting the opening remarks in this judgement itself. It reads “This case involves a human tragedy of Shakespearean proportions: a young man overcomes huge physical disabilities to reach Olympian heights as an athlete; in doing so he becomes an international celebrity; he meets a young woman of great natural beauty and a successful model; romance blossoms; and then, ironically on Valentine’s Day, all is destroyed when he takes her life.” Accusation against Oscar Pistorious, was that he shot and killed the 29 year old Miss Reeva Steenkamp at his home, in a secured complex known as Silver Woods Country Estate in the district of Pretoria. According to prosecution, there had been an argument between the accused and the deceased which had led to her fleeing to lock herself into the toilet and him then shooting her through the door. But the defence presented an entirely different story which was that the accused had thought that Reeva was in the room and some intruder was there in the toilet. He fired four shots at the door of the toilet. The trial court had held that the accusedhad not shot with so-called legal intent or dolus eventualis. However, it found that the shooting had been unlawful and that, although the accused had not had the necessary intention to kill the deceased, he had done so negligently and was therefore guilty of culpable homicide. The accused was thereupon sentenced to five years imprisonment. Although the Trial court found that the accused version was filled with contradictions, it had concluded that it was not shown that there had been an argument between the accused and the deceased which had led to her fleeing to lock herself into the toilet and him then shooting her through the door ─ was true beyond a reasonable doubt; and that the State had not shown that the accused had fired at the toilet door for any reason other he had thought there was an intruder behind it. The state then preferred appeal before the Supreme Court. Dolus eventualis arises if the perpetrator foresees the risk of death occurring, but nevertheless continues to act appreciating that death might well occur, therefore “gambling‟ as it were with the life of the person against whom the act is directed. It consists of two parts: (1) foresight of the possibility of death occurring, and (2) reconciliation with that foreseen possibility. While rejecting the charge of dolus eventualis, the trial Court had asked “How the accused could reasonably have foreseen that the shots he fired would kill the deceased or whoever was behind the door?” The Apex court observed that this question in the Trial court judgement indicates that the court found the presence of a person behind the door not to have been reasonably foreseeable. The court said that this finding by the Trial court is in contradiction to its own subsequent conclusion that the accused was guilty of culpable homicide on the basis that a reasonable person in the same circumstances would have foreseen the reasonable possibility that the shots fired at the door of the toilet might kill whoever was in the toilet. The trial court had further held that as the accused did not realise that it was Reeva (deceased) in the toilet, he did not foresee that his action in shooting could cause her death and he could not be held guilty of her murder. Invoking the principle of “dolus indeterminatus”( the killing of an indeterminate person), the Apex Court said that although a perpetrator’s intention to kill must relate to the person killed, this does not mean that a perpetrator must know or appreciate the identity of the victim. A person who causes a bomb to explode in a crowded place will probably be ignorant of the identity of his or her victims, but will nevertheless have the intention to kill those who might die in the resultant explosion the court said. The court further said that dolus indeterminatus is not much different from dolus directus or dolus eventualis and a perpetrator can act with dolus indeterminatus simultaneously with dolus eventualis. Citing precedents, the court said that it has in many other cases held that, persons engaged in a wild shootout in the course of an armed robbery to be liable for murder on the basis of their having acted with both dolus eventualis and dolus indeterminatus where persons were killed as a result. The accused’s incorrect appreciation as to who was in the cubicle is not determinative of whether he had the requisite criminal intent, the court said. The defense had contended that the accused had genuinely but erroneously believed that his life was in danger when he fired the fatal shots. The court said that this is a putative self-defence which cannot be sustained and it is no bar to a finding that he acted with dolus eventualis in causing the death of the deceased.Not only did he not know who was behind the door, he did not know whether that person in fact constituted any threat to him. In these circumstances, although he may have been anxious, it is inconceivable that a rational person could have believed he was entitled to fire at this person with a heavy calibre firearm, the court said.